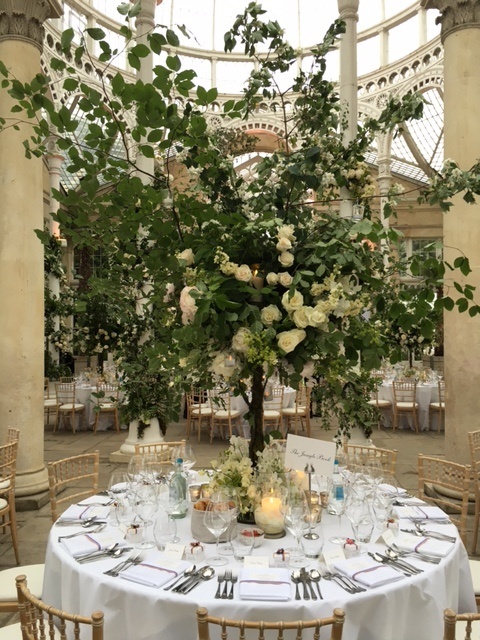 Syon House looked stunning for this summer wedding. A breathtaking floral installation created by florist Miranda Fairhurst transformed the venue, ready for the arrival of the newlyweds and their 130 guests. 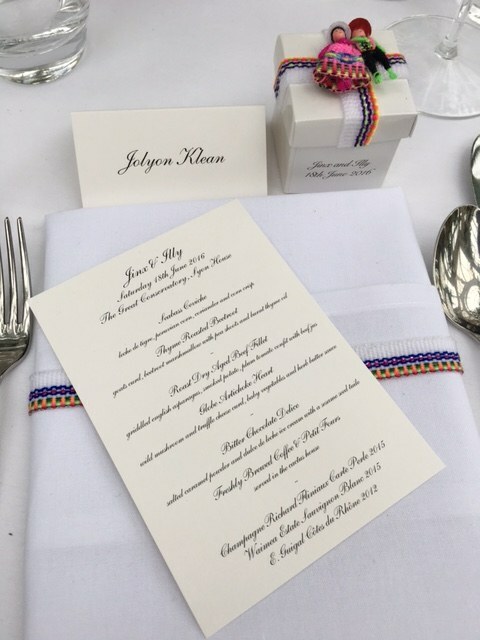 The bride’s Peruvian background inspired the menu of the day; our development chef Euan Peach worked closely with the bride to design a bespoke menu honouring her heritage. Following a ceremony at nearby Farm Street Church, guests were treated to a champagne reception in the courtyard, with a selection of canapes including dry aged beef with truffled horseradish soldiers and tarragon crème fraiche, avocado and lemon panna cotta Crispy mushroom crumbs and pea shoots and seared tuna with tomato marmalade and basil cream cheese. 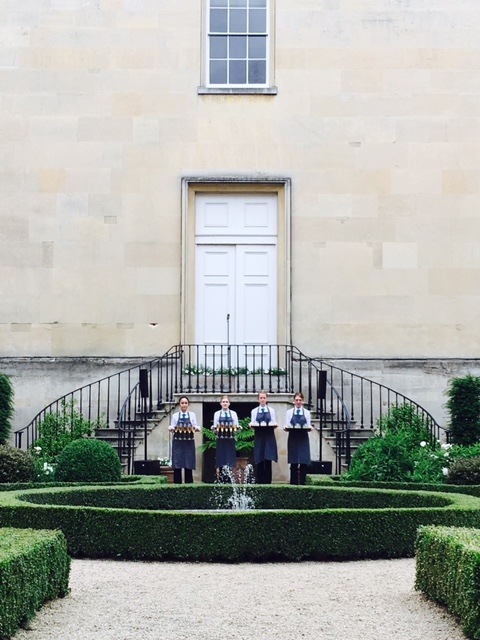 After speeches and toasts in the courtyard, guests moved inside for a three-course feast. 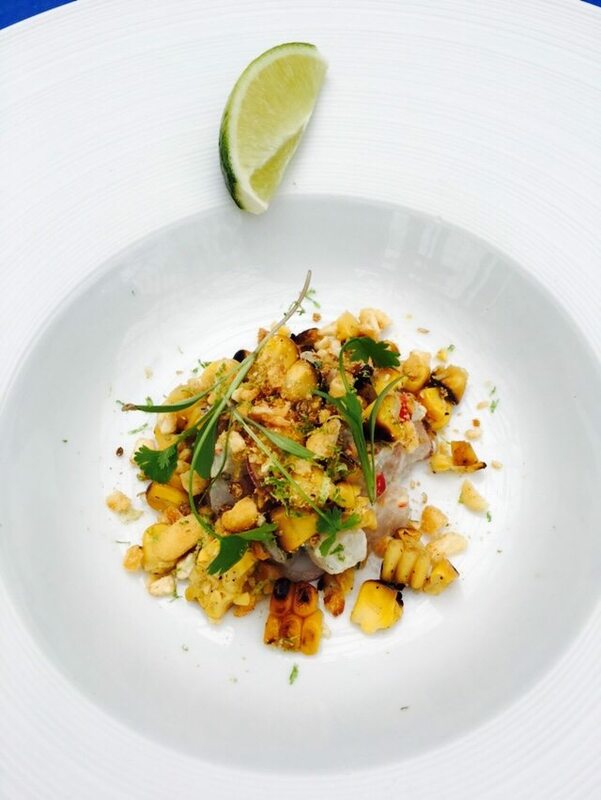 Guests enjoyed a starter of seabass ceviche, with lime mayonnaise, Peruvian corn with coriander and corn crisp or thyme roasted beetroot with goat’s curd, beetroot marshmallow with pea shoots and a burnt thyme oil. The main course was a roast dry aged fillet of beef, with BBQ spiced asparagus, lomo saltado sauce, roast garlic and chilli potato terrine, or golden cross cheese fondant, with crispy corn and black pepper crumble, burnt red pepper and roast garlic sauce and slow cooked smoked corn. 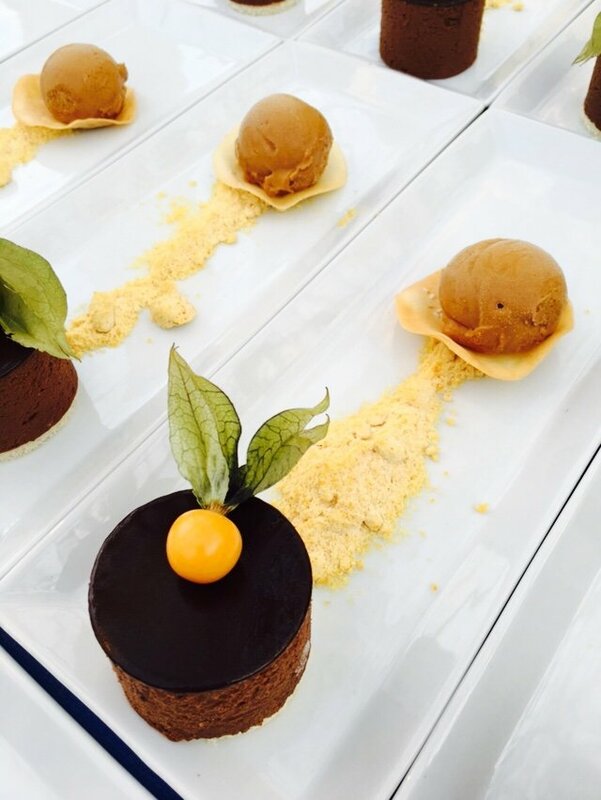 The meal was followed by a decadent dessert of bitter chocolate delice, with salted caramel powder, dulce de leche ice-cream and a sesame tuille. 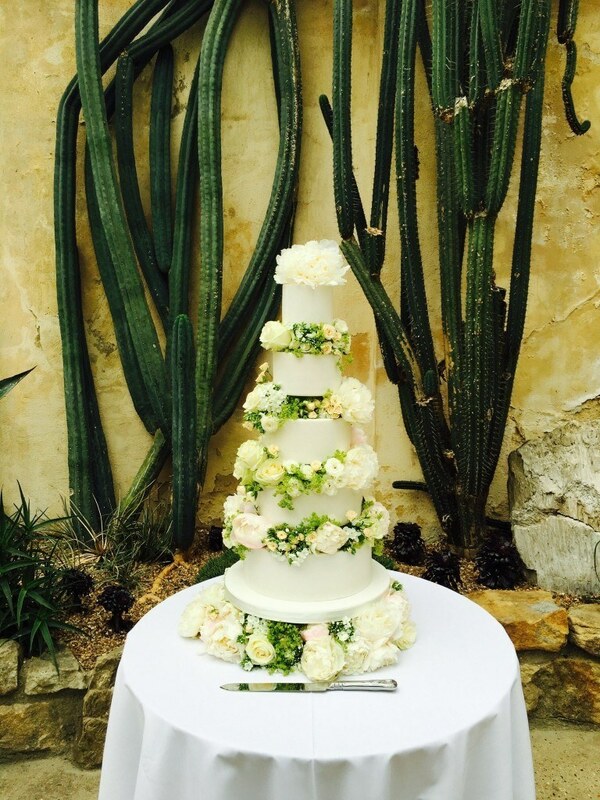 After dinner guests continued the celebrations in the Cactus House, where they were served coffee and the wedding cake was cut, before the happy couple to ok to the dance floor for their first dance. Want to find out more about weddings with Create Food & Party Design? Get in touch. Make sure you sign up to the Create Newsletter for tips and tricks from the Create chefs, great new places to eat and drink in London, all the latest Create events news and much more.